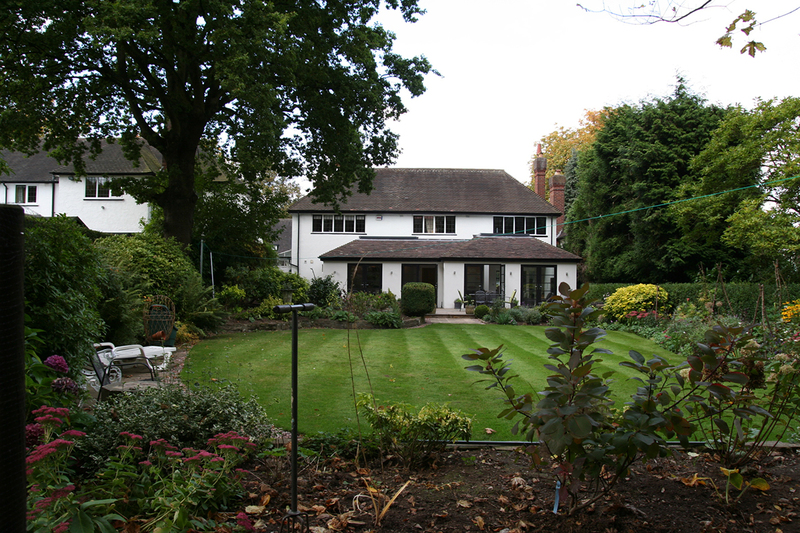 The owners of this house wanted more space and a connection to the garden. 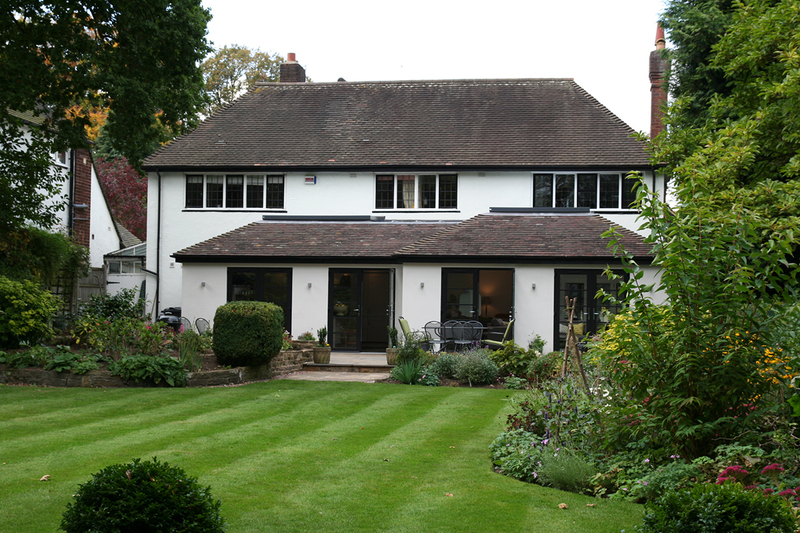 We agreed that extending the property in a contemporary style would sit well against the existing house which is an elegant and nicely proportioned 1920s property. 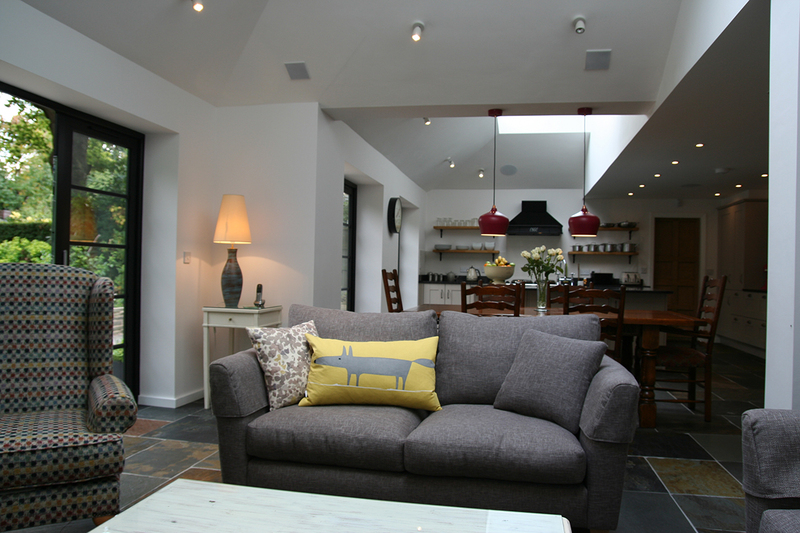 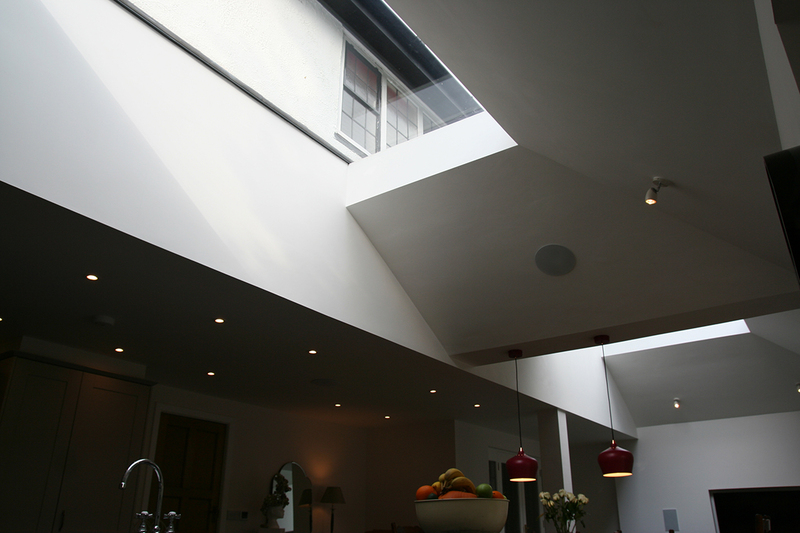 Along with other general improvements and the insertion of an upstairs ensuite, we focussed mainly on the extension. 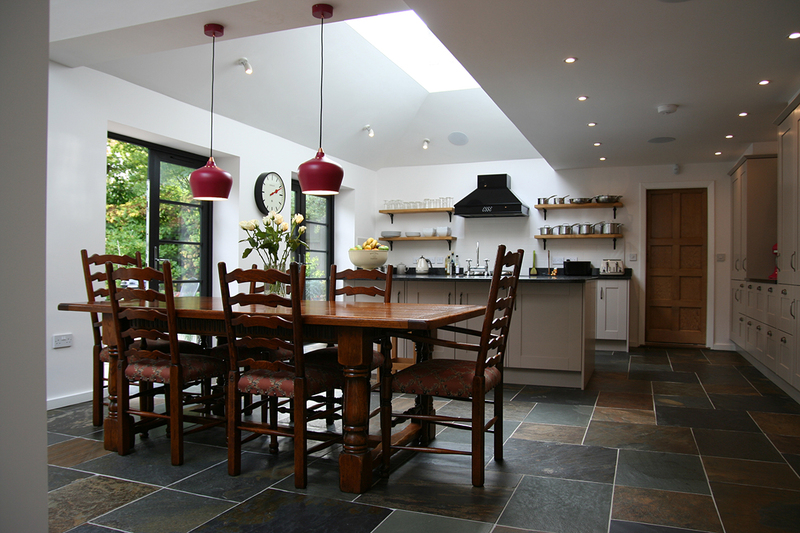 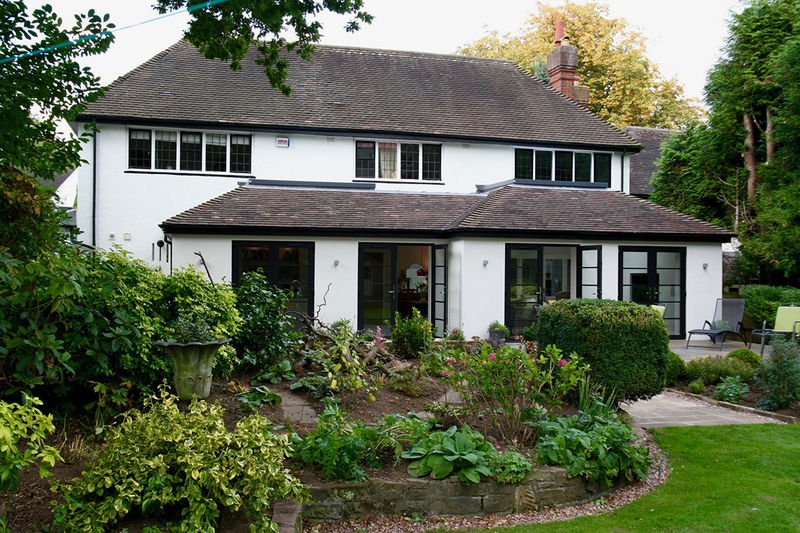 It was immediately apparent that a flat roof was not an option and the placement of the upstairs rear windows meant having a traditional tiled pitched roof would make it difficult to generate any real depth to the extension. 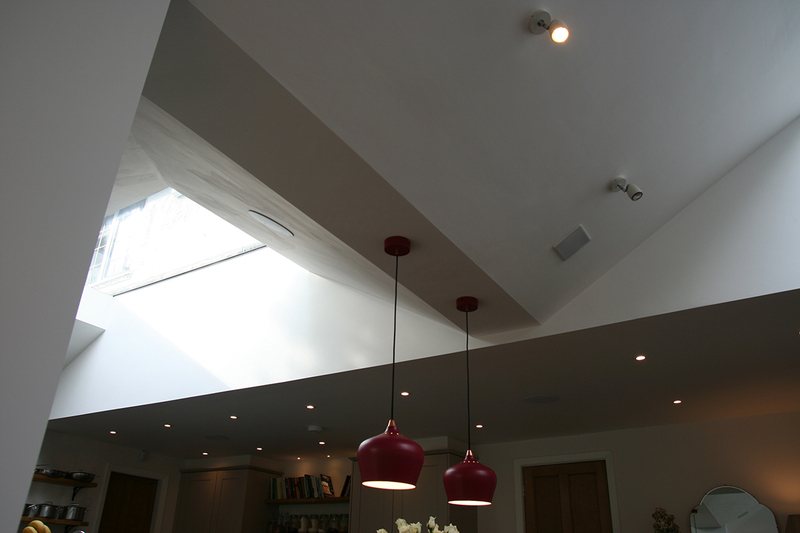 The solution was based on two adjoining hipped, pitched roofs – we effectively sliced the top off each one. 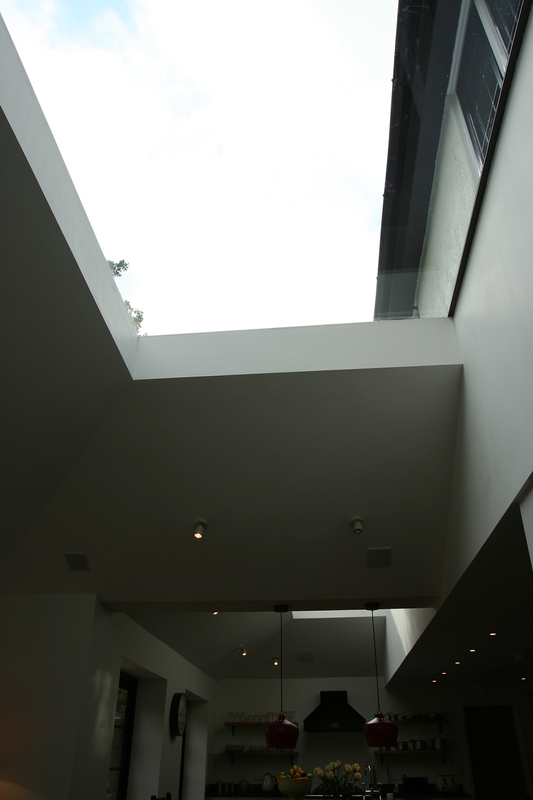 This enabled us to keep everything below the upstairs window line and also allowed us to place some large frameless flat roof lights in the openings. 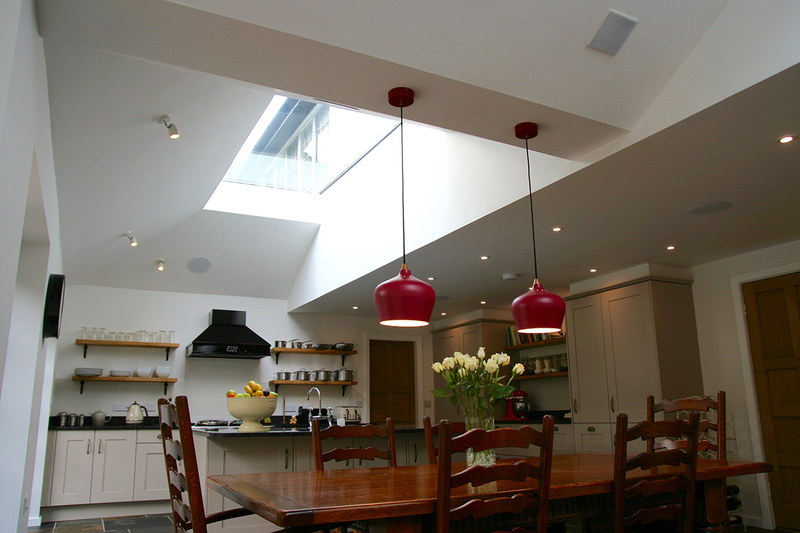 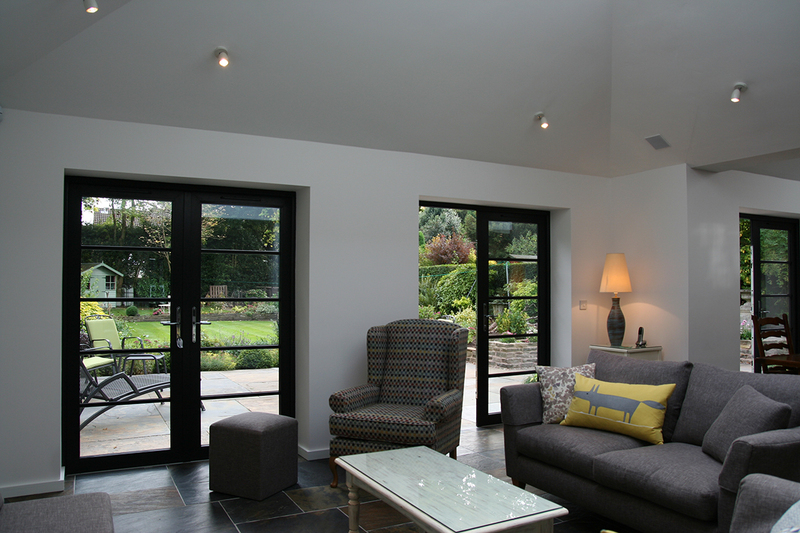 Having a smaller and larger element in plan also helped avoid the extension feeling cumbersome and dwarfing the existing house whilst giving rise to a twin-vaulted space internally which reflects the roof shape. 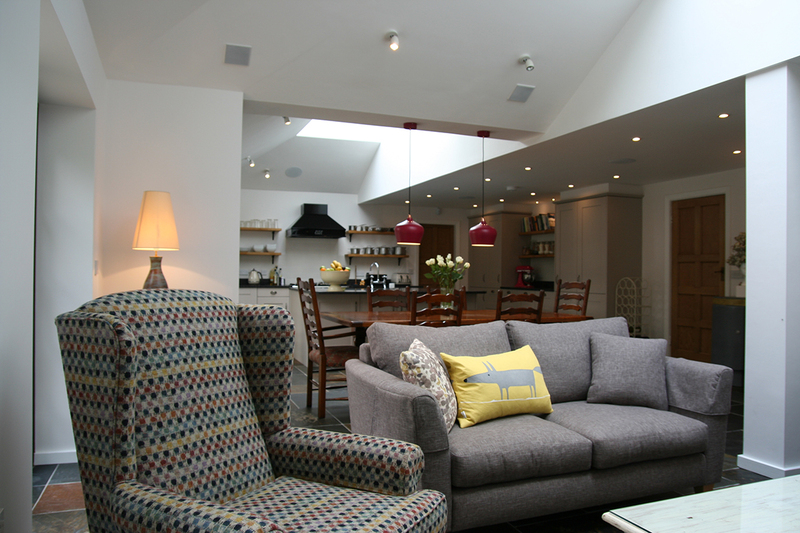 The layout gives an informal separation to the new space (which goes back into the existing house and is opened up) and helps define the new sitting area, dining area and kitchen. 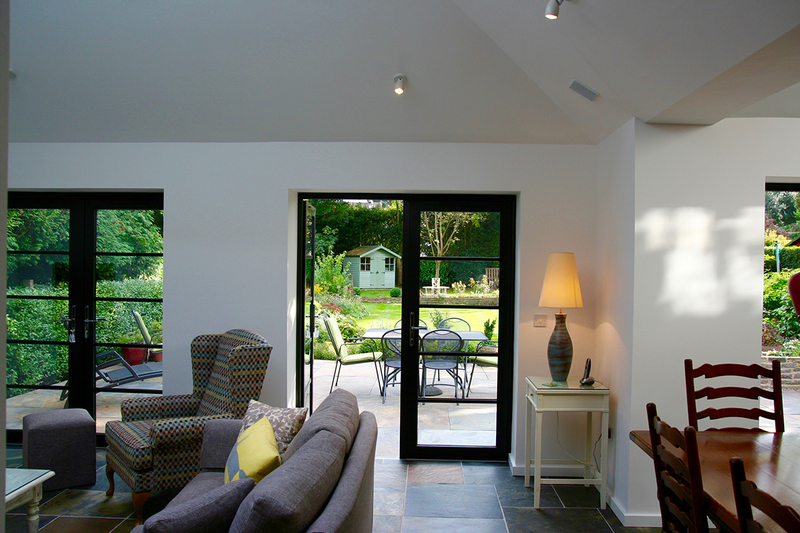 Everything then has an aspect and route to the garden and terrace which fulfills the client’s original brief.